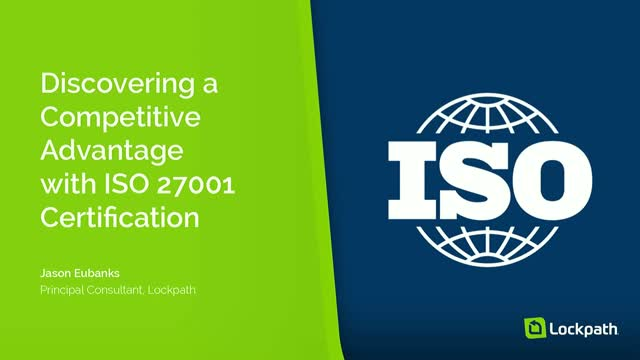 Organizations with mature, enterprise-wide information security risk management programs enjoy a competitive advantage, thanks to ISO 27001 certification that signifies an international standard for safeguarding information. In this webinar, Lockpath's Jason Eubanks, a governance, risk management, and compliance (GRC) consultant and former ISO auditor, will share the business case for earning ISO 27001 certification and the critical role of technology in implementing a successful information security management system (ISMS). Learn how ISO 27001 can give you a competitive advantage and strategies for earning certification. Register now to attend this educational webinar.